It is not secret that dogs feel a range of emotions just like humans do. For dogs that find themselves at the animal shelter, it is common to feel nervous, anxious, and scared. That is certainly the case for a little puppy. 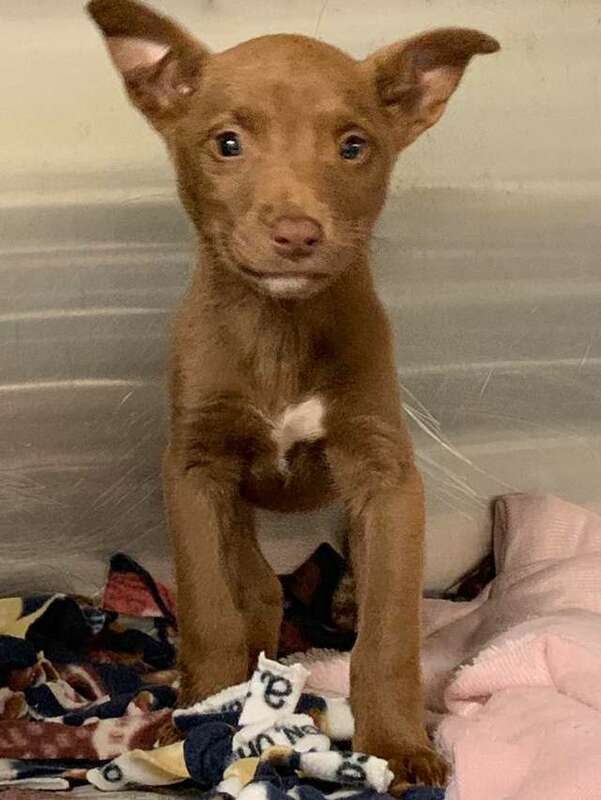 The dog, who is just 7 weeks old, was recently found running through traffic on a busy road. The pup, whose name is Layla, was saved and taken in by Beaumont Animal Care in Texas. While the little pup was frail and very nervous when she first arrived, she soon changed. She was placed in a kennel to rest and when a technician came to give her an examination, the dog started to smile. The tech says she began to talk to Layla in a ‘baby voice,’ and the little pup just loved it. Layla’s tail began to wag and then she actually started to smile! It was so incredible that a dog would actually start to smile and the tech couldn’t believer her eyes. Rachel Barron caught the smile on her cell phone and shared a photo of the smiling pup on social media. 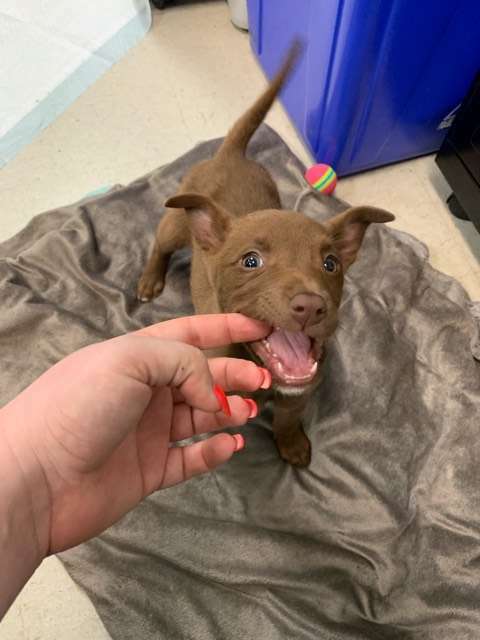 After she posted it to her account, many people started submitting applications to adopt the happy little puppy. 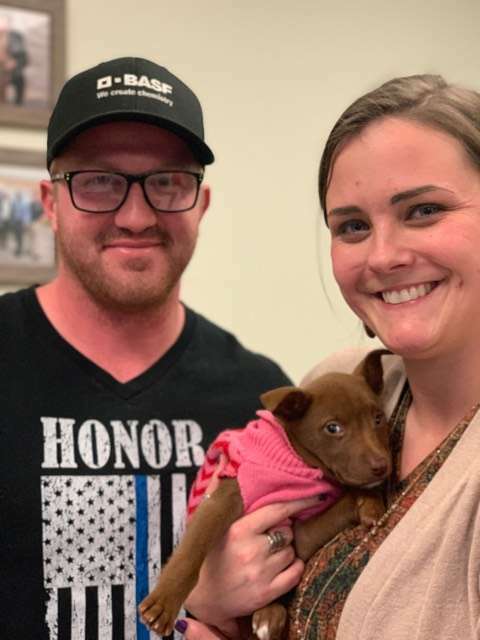 The perfect local couple stopped by the shelter after seeing the smiling dog. It was a woman named Nicole Toney and her husband. 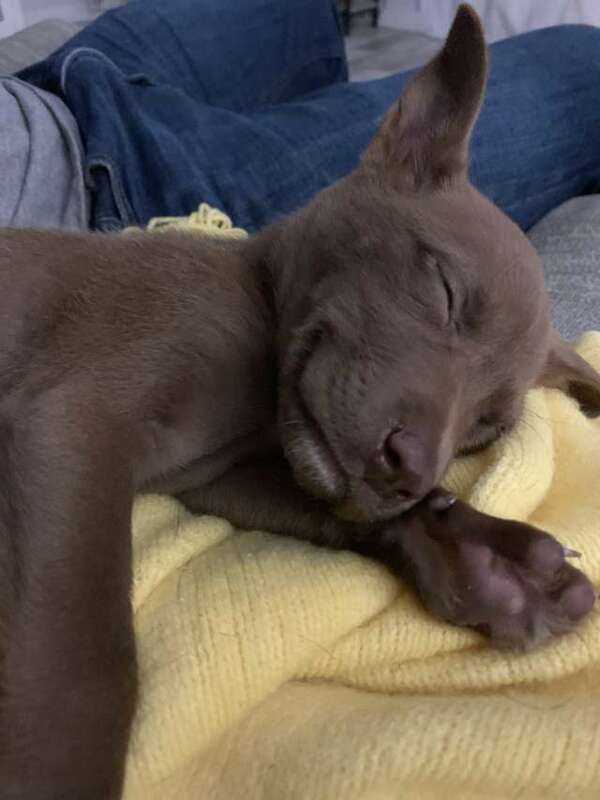 They already had two cats and three rescue dogs at home, but they knew the little puppy would be the perfect addition. It was love at first sight! She was shy at first, but Layla quickly warmed up to them and came to live with them. Layla fit right in with her new family and quickly formed a special bond with their dog Lady. Lady had recently given birth to puppies when she was rescued, so she really took to Layla the puppy. The feeling is very mutual: Layla just loves being around her fellow dogs and her human parents!